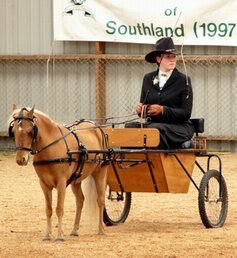 NEW ZEALAND MINIATURE HORSE STUD "TALL OAK'S" WE WELCOME ALL VISITORS WHO WISH TO VISIT US . HI AND WELCOME TO MY WEBSITE, WE ARE SITUATED AT THE BOTTOM OF THE SOUTH ISLAND IN NEW ZEALAND. OUR FIRST FOAL CROP WAS 4 FILLIES,OUT OF THIS WE ONLY RETAINED ONE,PINEHOLLOWS DIAMOND MIRAGE, OUR 2ND CROP WAS ONE OF EACH,WHICH WE SOLD BOTH.THE THIRD YEAR WE HAD 2 FILLIES AND A COLT,WE LOST ONE FILLLY SOLD THE OTHER AND THE COLT IS NOW A VERIFIED STALLION. 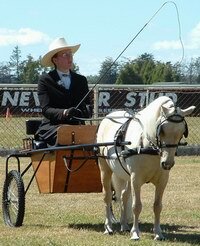 OUR 2005 SEASON WAS 5 FILLYS WOW,COULDNT BELIEVE OUR LUCK.TO SEE AL THESE AMAZING HORSES PLEASE ALSO VISIT PINEHOLLOWS,THIS IS MY MUMS SITE,AND HAS ALL HER HORSES ON IT. I WILL ADD HIM LATER,PLEASE ENJOY YOUR VISIT. Thank You For Your Visit,We Would Appreciate It If You Would Sign Our Guestbook On The Way Out.